GET A TASTE OF WHAT WE DO! Here's a sampling of content producer by the partners of SISU Creative - independently & as a team. Click on the service listings below each image to see more. The Craftsmanship Initiative (TCI) is a non-profit organization focused on highlighting craftsmanship’s contributions to innovation & sustainability. TCI publishes an online magazine called the Craftsmanship Quarterly and is currently building out its programming. Committed to creating a world built to last, TCI’s long-term mission is to reverse the trends of today’s throwaway society by building a movement for leading a creative, humanistic, and sustainable life. KLCS is the only PBS station based in Los Angeles. They provide a wide range of outstanding public television programs that educate, inform, enlighten and entertain adults and children. Their broadcast signal reaches more than 8 million households each month in the second largest media market in the country. LoveTheWild is a brand at the helm of the aquaculture movement–they’re on a mission to make a real impact on environmental and public health by helping people eat more fish. Their easy-to-make fish dinner kits feature the highest quality sustainably-farmed fish that are flash frozen and paired with artisan sauces inspired by cuisines from around the world. Bose launched a digital campaign entitled “Music is my_”, where they asked filmmakers to tell stories about people that have a strong connection to music; how it makes them feel, how it transforms experiences, and how it pushes them to achieve more. Bose wanted the films to incorporate its first on-ear wireless Soundlink Bluetooth headphones, which by their very nature lend themselves to a more introverted perspective. Mala + Mantra is a socially conscious, mala bead jewelry company with a dual mission - to provide wellness to mala wearers and to empower Filipina artisans through employment. Each piece of jewelry is handcrafted by female artisans at a fair trade cooperative in the Philippine. 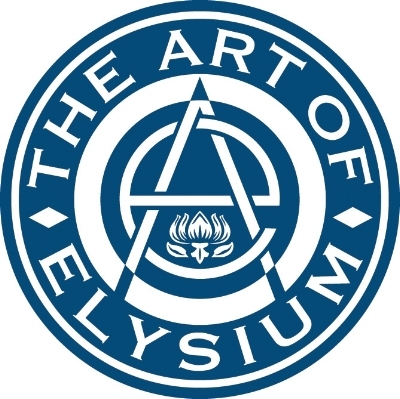 The Art of Elysium (TAOE) is a non-profit organization that uses art as a catalyst for social change. Their “full circle” approach encourages emerging actors, artists and musicians to volunteer their talents and inspire individuals in need to cultivate their own creativity. In turn, TAOE supports and acknowledges their volunteer artists by providing platforms to showcase their art within the community. TAOE has partnered with James Franco's Rabbit Bandini Productions to create Elysium Bandini Studios and fund, produce and release the work of emerging artists and provide mentorship from prominent industry professionals. Techung & The Wind Horses is a world music band that features renowned Tibetan singer/songwriter, Jhola Techung, composer/producer Michel Tyabji guitarist Rinzing Wangyal. Together, Techung & The Wind Horses create a captivating international sound, rooted in the band members' Tibetan, Indian, African, North American, and Caribbean influences.